Honker geschiedenis - Honker B.V. In the years 1953-1993 was the main product of the factory the popular truck (type Zuk 2.5 tonnes GVW ) . Since 1993, we produced the LUBLIN type ( 3.5 tonnes GVW ) produced in various versions. In the 60s of the twentieth century began producing of military armored vehicles . Also cars like the Peugeot 405 , followed by Daewoo Nexia were assembled at our company. In 1995, the company was state owned. 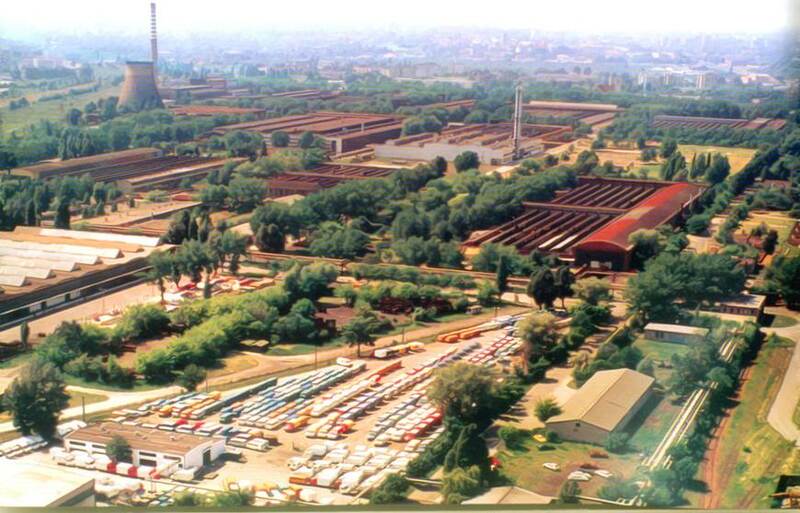 In the years 1995 - 2001 the factory belonged to the Korean company Daewoo, under the name Daewoo Motor Poland Sp. z oo. From 2002-2003 it was a division of Engine Factory " Andoria " SA and Andoria -Mot Sp. z oo. And from 2003-2007 , was a Russian -British consortium Intrall owner of the factory. The latest chapter in the history of Lublin car plant is related to the family business GNTB Tymińscy Sp. J. headquartered in Podlasie . The company has more than 20 years’ experience in the automotive market, mainly as a supplier of automotive parts . Early 2009 the idea was born to continue all activities under the GNTB Tymińscy Sp. J. who now owns the rights to the production of trucks and SUVs. The purchase of land, buildings, machinery and equipment and intellectual property rights, the new organization was heir to the entire activity and the long tradition of the factory. ​Since August 2011 , the company operates in a new legal form as GNTB Car Factory in Lublin Sp. z oo. In September 2012 the company was named Car Factory Honker. In April 2015 the global sales and marketing department , honker BV .was established in the Netherlands.